He graduated from the prestigious Berklee College of Music in Boston, majoring in both Saxophone Performance and Composition. In 1999, he founded his own “big band” style musical group that has actively toured Russia, Europe and the US ever since. 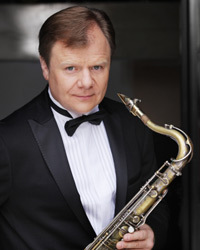 Igor Butman’s Quartet that critics quickly branded the “trademark” of Russian jazz debuted during the same time period. In 2009, Butman launched his own recording label called “Butman Music.” He has worked alongside many famous and talented musicians for many years now. 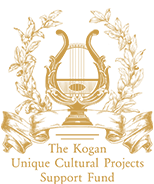 In 2011, Igor Butman joined the Board of Trustees of the Kogan Unique Cultural Projects Support Fund, and has actively supported the Fund’s development and activities ever since. Andrea Shudtz was born in 1973. He was introduced to violin craftsmanship by his father Pavel Shudtz, and created his first musical instrument when he was 15. At present, Andrea lives in Cremona, Italy. 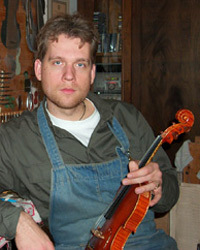 There, in his workshop, he creates and restores antique violins and other string instruments. Andrea’s work combines the classical approach to construction with modern experiments through precisely re-creating and modernizing traditional features. Andrea joined the Kogan Unique Cultural Projects Support Fund Board of Trustees in 2011, and he is now the artisan responsible for maintaining the pristine condition of each violin in the Fund’s collection.